Coastliner drivers Jon Peckitt (left) and Charlie Whitesmith (right) stand either side of Alex Hornby. 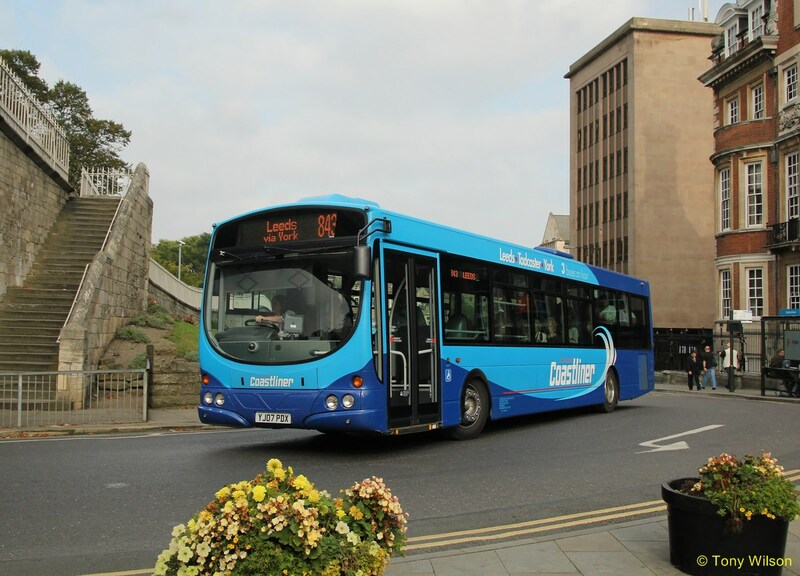 Transdev operated Yorkshire Coastliner has now entered its 25th year. The route runs daily from Leeds to Whitby, Scarborough, Filey and Bridlington. 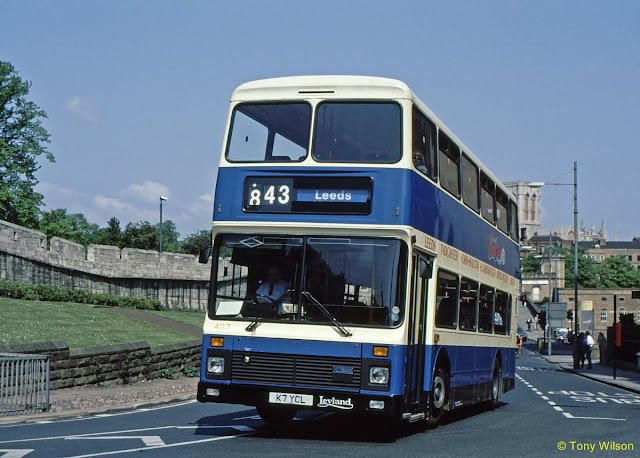 Two events are planned in July to mark the occasion, including a Coastliner summer roadshow that will be held in York with buses old and new on display to the public. 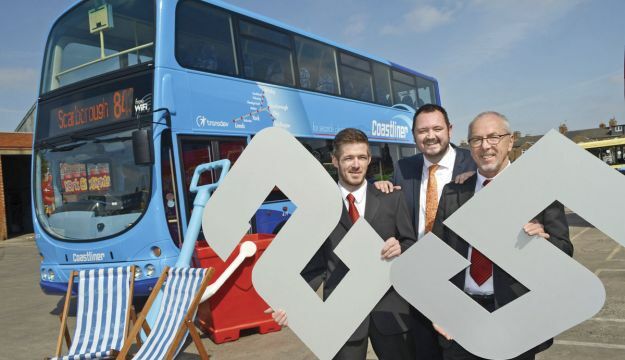 Meanwhile, a Coastliner summer barbecue is being put on for staff at the company’s Malton depot on 18th July to thank them for their efforts in delivering the service. 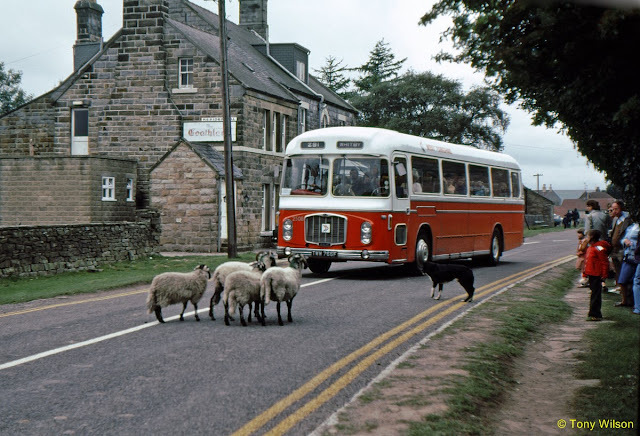 The Yorkshire Coastliner company became operational on 2nd January 1990, but its origins go back to 1928 when the West Yorkshire Road Car Company was founded. August 1979 and a Bristol RELH6G coach on the National Bus Company West Yorkshire Road Car company's Leeds-Whitby service, encounters local opposition in the North Yorkshire Moors village of Goathland. Some may recall that this featured as the fictional location of 'Aidensfield' in the 'Heartbeat' television series.